My girls’ club soccer team did an annual soccer charity event where the entire club played soccer for twenty-four hours straight. Each age level was assigned a two-hour block of time where they scrimmaged against the boys’ teams with music pumping in the background. The coaches would jump in and play too, which made it especially fun. Each player raised $400 towards soccer scholarships and Special Olympics. It was a nice way for the kids to channel their love of soccer towards a social cause, and it also gave them a chance to interact with other teams that they usually didn’t ever see on the soccer field. 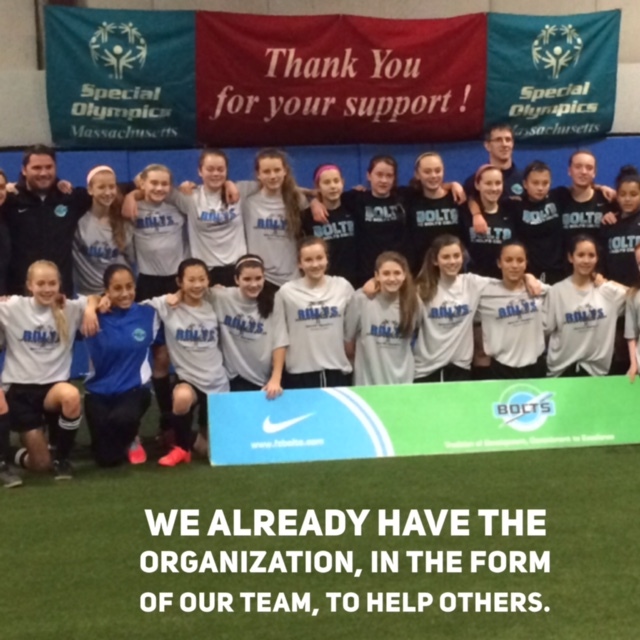 We already have the organization, in the form of our team, to help others. We have the opportunity as coaches to educate outside the game. For example, we can encourage our players to give back outside the sport. If we do a community service project, our team might have the chance to learn that there are kids in Kenya who play barefoot because they don’t own soccer cleats or that they don’t have running water. It also is a way to improve team chemistry. My daughters rarely received a formal Player Code of Conduct that they had to read over and sign for the sports teams that they played on. I like a formal players’ contract to put everyone on the same page at the start of a new season. Without a formal list of rules, the players have to figure out by what the coach’s rules of conduct are, and the unspoken rules of behavior can take longer to figure out (e.g. are we here to win or have fun?). 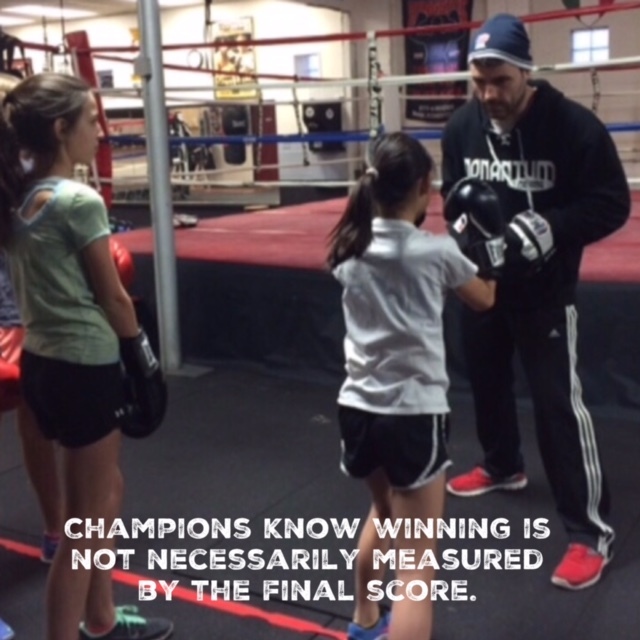 Champions make those around them better. At the start of the season, go over the player code of conduct and then have each player sign that they understand and commit to this. This is a great opportunity to set the tone of the team: teamwork, having fun, mutual respect. Show courtesy and respect to all coaches, players, opponents, officials, parents, and fans. Attend every practice and game that you can, and notify the coach if you can’t make it. Not all coaches give player evaluations I’ve noticed. 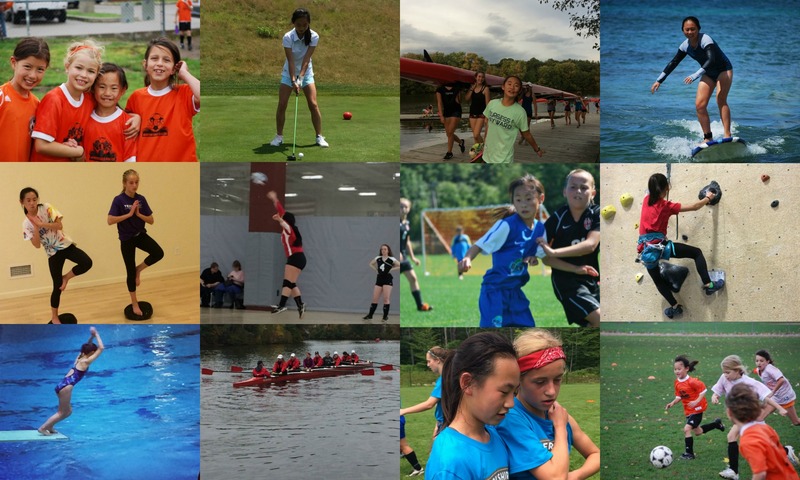 My middle daughter received formal player evaluations when she played soccer, starting when she was in middle school. Both her town team coach and her club team coach gave written reviews, but with different frequencies. 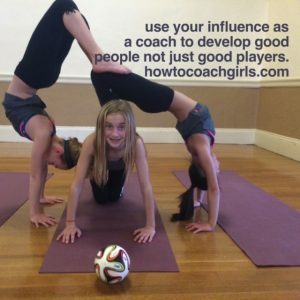 Her town team coach gave weekly performance evaluations after every game. Not her teammates liked getting graded weekly, but I thought it was great. 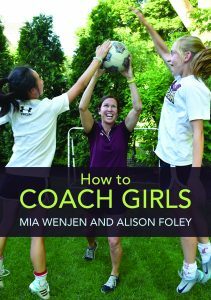 Her club team coach gave written evaluations twice a year at the end of each season, but also did a face-to-face meeting to go over the form. I’ve saved all these forms and it’s fun to look back on them to see what she was working on, and her progress that year. In any format (written or verbal), feedback is helpful for player development. The delivery of the feedback is critical though. Even though my daughter got mostly positive feedback, she worried about her face-to-face assessment. After each evaluation meeting though, she would have a giant smile on her face! For volunteer parent coaches, the first thing to consider when thinking about individual player goals and evaluations is how much time you have to spend on it, and therefore the frequency that you can realistically commit to. It’s not necessary as a parent volunteer coach to do formal written evaluations. The important thing is to have players feel good about themselves. It’s time consuming, but girls need feedback. 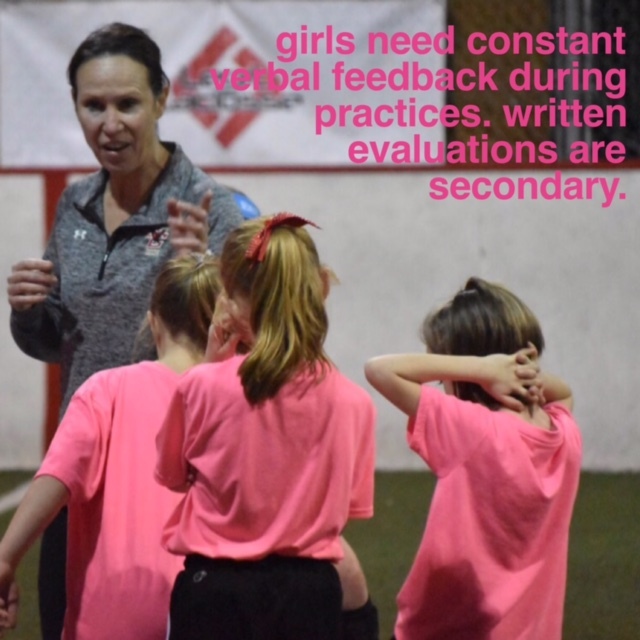 Constant positive verbal feedback during practices is sufficient for girls younger than middle school, but if you have the time, a face-to-face evaluation at the end of each season can be a powerful way to let each player know how much you appreciate their efforts. You can also use this time to help them set development goals for next season. It’s not necessary as a parent volunteer coach to do formal written evaluations. The important thing is to have players feel good about themselves. I was that mom. My middle daughter who played a lot of soccer was usually the smallest kid on the field. A matchup with a girl much taller seemed like a doomed proposition. Team snacks were also a minefield had to be carefully considered for parental approval, and I usually provided multiple options just to be safe. But this was the tip of the iceberg. My oldest daughter played town soccer for a volunteer dad coach who also happened to teach at one of our local middle schools. My daughter was an awkward phase of puberty – she would gain weight first and stay the same height for a long time, before shooting up. She also had knee problems from tight hamstrings and puberty and often couldn’t participate from being in pain. Her coach was not sympathetic, and called her out in front of her teammates for being lazy and unfit. This ended up being the last year she played soccer. 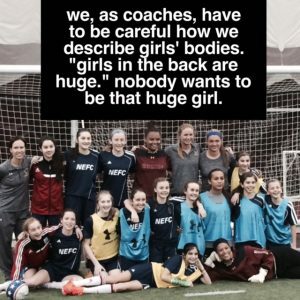 Even a decade ago, I noticed that young girls in the age range of eleven and twelve, weren’t thinking about their bodies. But now puberty is happening at a younger age. There’s also a trend in more form fitting soccer uniforms. 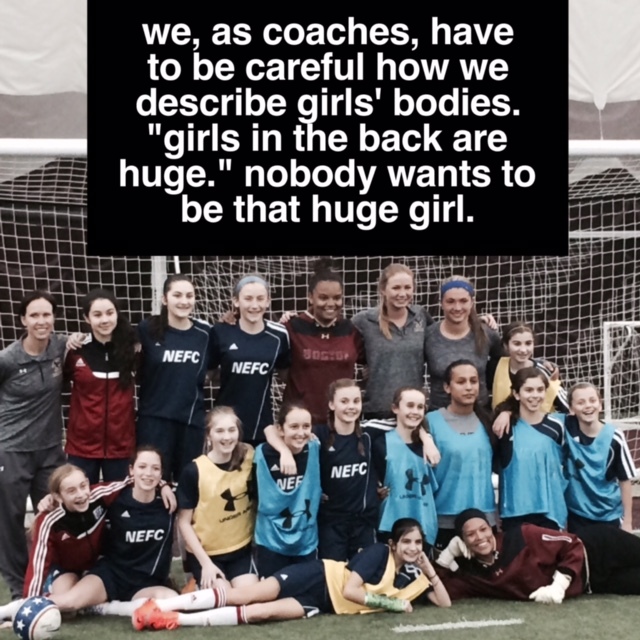 Even for youth players like U12 girls, the kits are more narrow and it makes girls more conscious of body image. 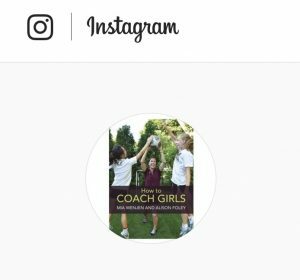 One consequence of these trends is that some young girls will restrict their eating, and that’s where the coach can come in and be a positive influence. My kids probably respected and sometimes even feared their coach more than any other authority figure in their lives. That’s the person they worried the most about. Does my coach like me? Am I going to start? I noticed that my middle daughter’s town coach would work with her team on kindness and appreciating every member of the team through “pump up” letters before games. In small ways and big ways, coaches have enormous influence that can be tapped and used to encourage athletes to develop not just as good players, but good people. The role of the coach can influence far beyond the field. It’s really important to recognize non-soccer things to help develop players into good people. For example, I coach U14 girls on a club team and I might recognize the player for being courteous because they let someone cut them in line. Somebody didn’t have a change to go so you recognize that and you let them go ahead of you. As opposed to I am going to be the first one in front the college coach who’s recruiting here today.